Leaders from the the world’s main pan-Islamic body on Wednesday urged the international community to recognise East Jerusalem as the Palestinian capital after US President Donald Trump declared Jerusalem to be the capital of Israel. 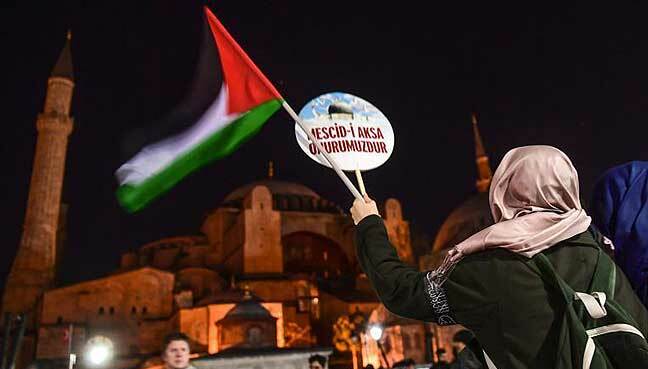 The emergency summit of the Organisation of Islamic Cooperation (OIC) in Istanbul said it declared “East Jerusalem as the capital of the State of Palestine” and invited “all countries to recognise the State of Palestine and East Jerusalem as its occupied capital,” according to the final statement. The step by Washington amounted to “encouragement of Israel… to continue its policy of colonialism, settlement, apartheid and ethnic cleansing,” it added. The OIC groups together 57 member states but bridging the gaps in a Muslim political community that includes nations including arch rivals Sunni Saudi Arabia and Shiite Iran is far from easy.